An astonishing thriller from the author of The CompanyA classic among espionage aficionados, The Sisters features what the New York Times called "the plot of plots." Centering on Francis and Carroll, two enigmatic and extremely dangerous CIA legends dubbed "the Sisters Death and Night," The Sisters masterfully unveils an abyss of artful deception. 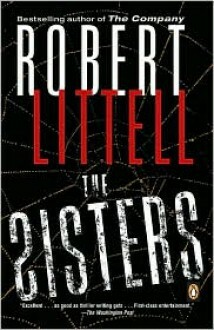 By luring the Potter, a former head of the KGB sleeper school, into betraying his last and best assassin living secretly in the United States, Francis and Carroll set off a desperate race against time as the Potter tries to stop his protégé from committing the Sisters' exquisitely planned, world-shattering crime.